Bonefield was charged with lewd and lascivious exhibition for the incident inside the van. 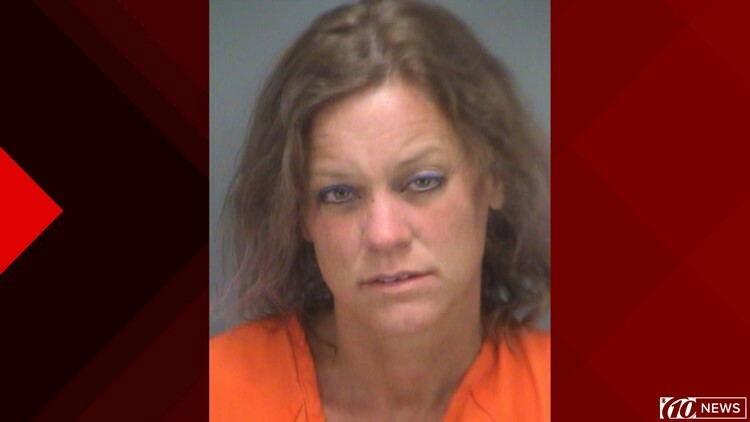 DUNEDIN, Fla. — A Pinellas County woman walked behind the counter, yelling, screaming and punching after employees caught her shoplifting from a beauty supply store, according to law enforcement. It happened late Monday morning at Silky Beauty Supply in Dunedin, where investigators say she tried to take less than $10 worth of merchandise. An arrest affidavit says Tami Lynn Bonefield, 45, grabbed and punched one employee, then kicked another one after she was confronted. Last month, Bonefield was accused of identifying herself to law enforcement as "Blacksheep Trouble Squarepants." At the time, she was charged with providing a false name or identity.